The Republic of Ireland Ladies Snooker Association introduced the sport of Billiards into their Association for the first time back in December 2015. During the previous 11 months a number of women were coached by our National Billiards Coach, Aidan Murray, who got these women trained to a standard for competition. This time was well spent as the players really got behind this new initiative and the interest grew with RILSA now having had 15 women who attended and played competitive billiards over the three years. 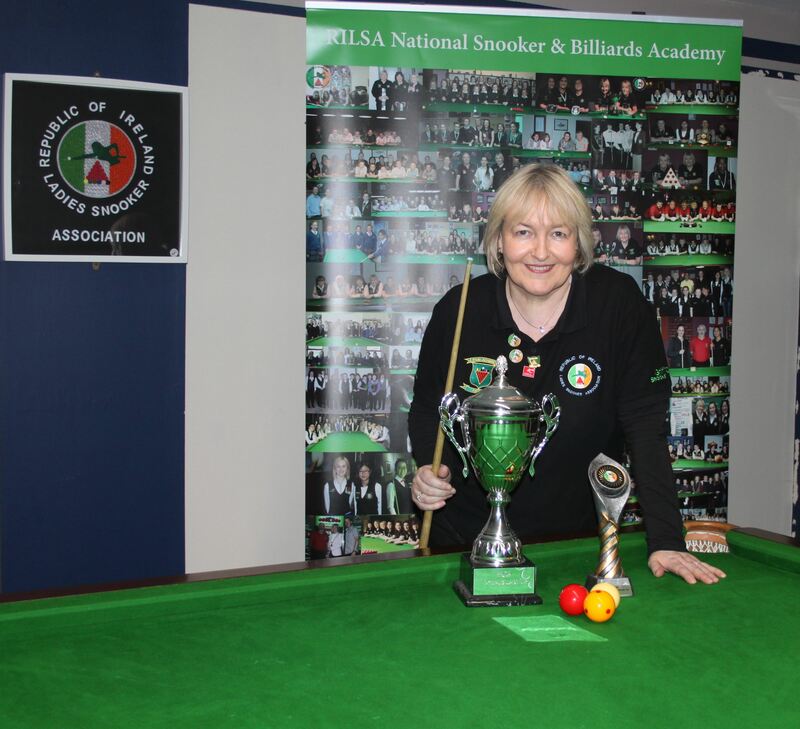 Annette Newman from Carlow has dominated the sport to date by winning the inaugural Championship in 2015 and retaining it again in 2016 along with winning all 4 National Billiards titles in between. Annette has recently completed her third successful season, winning 4 out of 5 National Billiards titles for 2017. However Valerie Maloney from Laois along with Christine Carr from Kildare have improved greatly in the sport and are hot on the heels of Annette. Annette took the 2018 National title making it 4 in a row and setting a new record. She will be looking to continue her form in 2019. Annette is the only woman in Ireland to have held both the Snooker and Billiards National titles in the same season along with holding the number 1 ranked spots in both disciplines. Great history in the making for women’s cue sports here in Ireland. The Intermediate National Billiards commenced in 2018 with Christine Carr taking the inaugural title. Valerie Maloney finished the Intermediate Billiards season number 1. This new event along with 4 rankings at this level will be rolled out during 2019 with another National Title up for grabs in the 100 Up event during the season.